A chair as individual as you are. Bright, attractive and practical Bungee Chair Lime. Featuring cushioned seating and an interlocked bungee cord system for optimised back support. 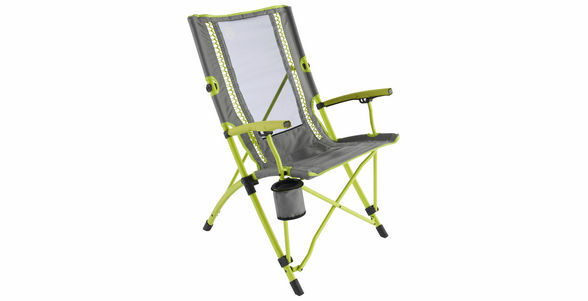 The steel framed Bungee Chair Lime combines incredible comfort with a stylish and colorful appearance. The chair also comes with a handy carry bag for easy transportation.